Cards present a challenge to scrapbookers because they are not single-sided like a photograph. Most cards aren’t even just front and back like typical invitations or announcements that are frequently included in scrapbooks. Including a card in a scrapbook requires taking a new approach to ensure that both the presentation and the sentiment of the card is preserved. So what if you want to include some of those congratulations cards in your baby scrapbook layout, for example? The easiest method to scrapbook cards is also the least elegant. Simply slipping a card into a pocket page or other holder page both preserves and protects any card, but also requires its removal in order to view it in full. The advantage of using this technique for scrapbooking cards is that it works with any card, whether store-bought, handmade, and whether a single-fold or multi-page card. Another easy way to scrapbook cards is to cut them apart. Most non-handmade cards come with straight sides and edges making them perfect for cutting with your favorite paper trimmer or cutter. Slicing the two-halves of a traditional folded card apart gives you a more traditional item to include in your scrapbook. 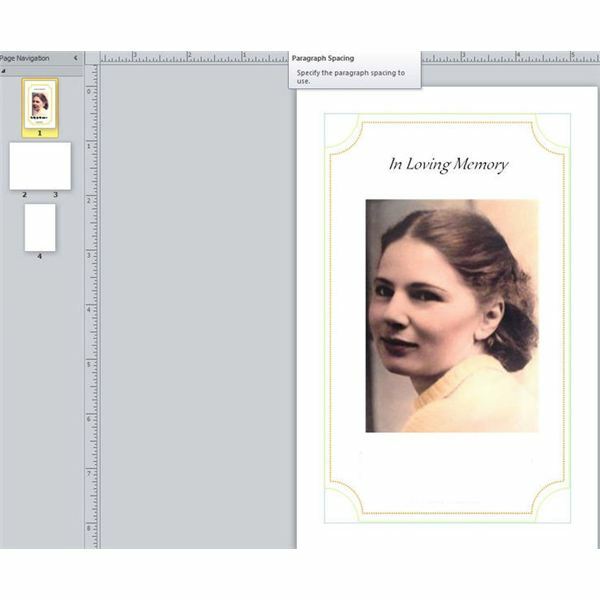 Typical cards with a blank inside-front cover and blank back can be easily incorporated into any scrapbook either on facing pages — to see the whole card at once — or as front and back — to give the experience of "opening" the card by turning the page. Of course, the major drawback to this method is the destruction of the original form of the card. Another good way to scrapbook cards is to attach the back of the card to the scrapbook page. The card can be kept intact and opened and closed just like if it were not in a scrapbook at all. Additionally, the page itself can be decorated to complement or emphasize the card’s sentiments and the memories attached to them. This method has the added advantage of preserving the inside cover of the card where loved ones often write a personal message to go along with the printed text inside of the card. 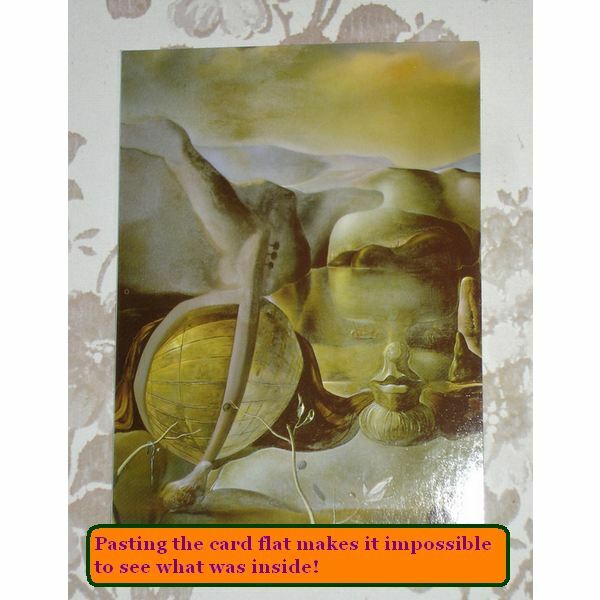 Use a movable clip or brad to hold the card shut until ready to be opened, otherwise you risk flipping through the scrapbook without noticing the card flipped opened and then creasing the opened cover when the page is turned. For scrapbookers looking for a way to mount their cards in a scrapbook without pockets or folders, there are still good options. If you just want to have the essence of the card without having the card itself in your scrapbook, consider scanning all faces of the card and including the images in whatever manner you’d like in your scrapbook. A collage of photos is a surprisingly elegant and creative way to display every page of a any card, whether tri-fold, multi-page, or oddly shaped. That tri-fold card from your Grandmother-in-law with the touching handwritten note on the back of the front-cover morphs into the most creative baby scrapbook page in the whole book when arranged as a wonderful storyboard of her sentiments when photos of each part are pasted across the page in a touching collage. Skilled scrapbookers can make use of a simple, but often overlooked, technique to use photo mounting squares on two facing pages such that the fold of the card folds into the binding area of the scrapbook itself. 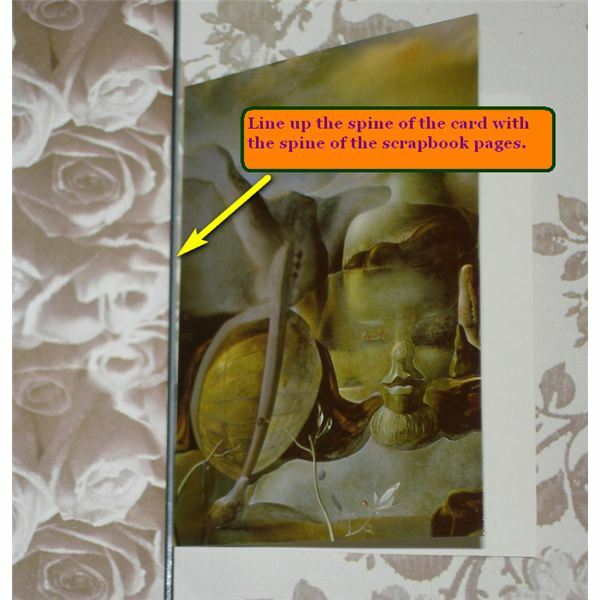 The key to this method of mounting cards on scrapbook pages is that if the scrapbook opens flat, or almost flat, like most post bound scrapbooks, then the card’s fold will need to stick out of the stack of pages of the scrap book when closed. Otherwise, opening the book will cause the card to stretch across the seam pulled up off the page — if you’re lucky — or ripped or pulled lose from its mounting, if you’re not. Fortunately, most scrapbook designs like this have a hollow area between the pages and the binding when the book is closed. The secret is to mount the card so that it fits in between the posts and into this hollow space. A more advanced way to scrapbook a single-fold card is to use see-through pages or scrapbook pages with a window. If the scrapbook is bound the right way and you exercise enough care, you can actually incorporate the fold of the card itself into the fold of the scrapbook. Obviously, this method will not work with scrapbooks that are bound with rings or posts, or where the book’s pages separate when opened fully. Also check out these tips for creating a scrapbook of thank you cards as a keepsake of a hard-worked and well received effort.